No matter how much we have achieved in any area of our lives, as a parent, our greatest success can be found in one thing: the emotional quality of our relationships with our children. What if you could ignite more love, joy and connection in your relationship with your child starting right now? 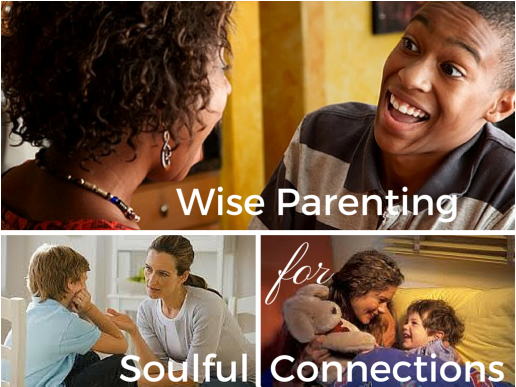 What if you could contribute the level of wisdom to your parenting skills that would ensure you raising a healthy, happy, successful, well-rounded and whole individual? · What their greatest fear is?
. What their gifts and passions are? · Where they want to be when they are 25 years old? · How they handle the pressures that come with being a teenager? · What they really think about themselves down on the inside? · How they see themselves when they look in the mirror? · Who they most admire and why? · If they really like school, and if not why? · How they are treated by their peers or classmates? · Where they go to be by themselves and think? · What they think about when they go there? · Why they think about killing themselves sometimes? · If your child secretly hates or dislikes you very much? · How to connect with them in their heart space? · When to just listen, as opposed to fussing at them? · What to do to build your child’s self esteem? · When your child needs to spend quality time with you? · Why they really do need a hug when they say they don’t want one? · If your child values themselves or not? · If they follow the crowd even though you think they don't? · How they feel about their own sexuality and sexual orientation? If you are able to answer 15 – 20 of the above, then you can stop reading here. If not… read on. Do you feel like you need some 1-2-1 Coaching?